According to the latest rumors shared by reliable insiders, the guys from Cupertino will show us an updated MacBook Air later this month. Since Apple has no media events planned for February, this won’t be the 12-inch MacBook with Retina display and a number of serious performance improvements. This will be just a slightly better version of the existing laptop. 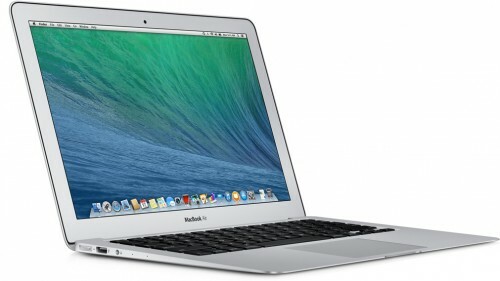 The updated MacBook Air is expected to become available on February 24th. The rumor comes from a Czech website called letemsvetemapplem.eu. The reporters believe the new laptop will feature a number of minor processor, RAM and storage enhancements. Apple news website letemsvetemapplem.eu claims that Apple has a scheduled MacBook Air update for February 24th. The site says that this Air refresh will be minor, so if it is indeed happening, the update will likely focus on processor, storage, and RAM improvements. Apart from releasing the improved version of the existing MacBook, the guys from Cupertino are expected to unveil a brand new 12-inch MacBook Air later this year. The laptop will boast of faster processor, better battery and the Retina display. Unfortunately, the date of the release remains unknown.